Attorney Josh Spickler of Memphis, Tennessee has given a hand-up to hundreds of former inmates. As a major justice bill moves through Congress, he discusses their work and how faith inspires action. 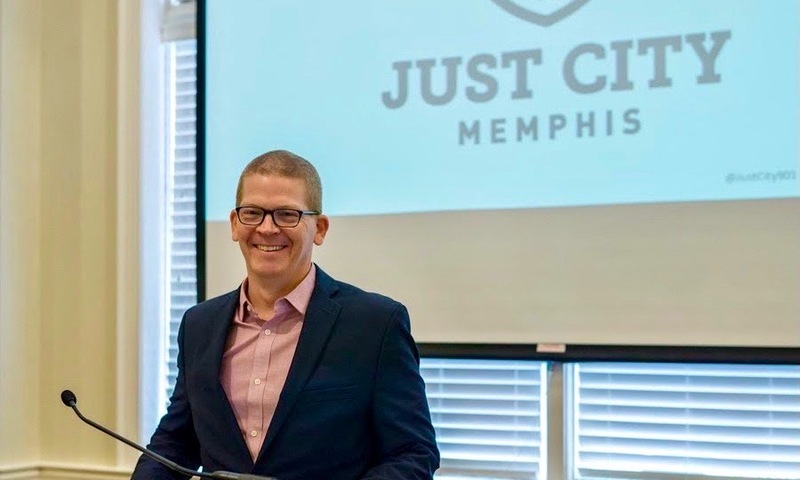 As executive director of Just City in Memphis, Tennessee, attorney Josh Spickler has assisted hundreds of former inmates. Are the scales of justice weighted rightly? 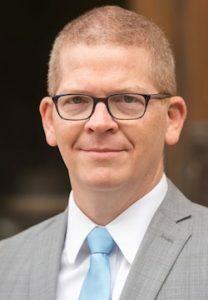 It’s a question Josh Spickler, an attorney and former public defender involved in prison ministry, takes seriously. Over the past three years, the nonprofit group Just City in Memphis, Tenn. which he leads has helped hundreds of former inmates. Giving hope to prisoners has been discussed nationally in recent weeks. The FIRST STEP Act offers incentives for former inmates to pursue job training, among other provisions. It passed the House 360-59 and is currently being negotiated in the Senate. President Trump has expressed support for the bill, along with Senate leaders in both parties. In a phone interview, Spickler shares the problems he sees in criminal justice today, how Just City is helping those in need and his views on the FIRST STEP Act. The Stream: How do you see the U.S. criminal justice system harming vulnerable people? Josh Spickler: The reason Just City exists is people don’t have the resources to navigate the system in the way it was intended to be navigated. In so many different ways, the lack of wealth is such a barrier to achieving just outcomes. Justice is finding out who is guilty and holding them accountable for damage and harm they have caused a community. To get to that justice and restoration of someone with a community they have wronged, the person has to have money. The damage begins when you don’t get a lawyer for two and a half weeks while you’re sitting in a cage. It’s emotional, mental, spiritual and physical damage. You’re deprived of everything while they wait to give you an attorney. From start to finish, there are parts of this justice system that do not work for everyone. The Stream: What specifically does Just City do to help solve these problems? Spickler: Our most successful project happens at the tail-end of the justice system. After you’ve been found guilty and been held accountable in some way for damage you have caused your community, then you still have a permanent criminal record. It goes with you into every job interview, every apartment application and every educational loan that you seek. In Tennessee, circumstances are very limited for when you can expunge that record. It lasts a lifetime for most people. Then about six years ago, the state attached a $450 fee to that process. It was tripled from its 2011 level — three times greater than any other filing fee in most counties. This became a big wealth-based barrier to final restoration. What we now know, six years later, is that the number of people across Tennessee who petitioned for an expungement plummeted. It’s because $450 is a significant amount of money for people who are in temporary, part-time employment. That’s rent plus many months of car payments. We started raising money to pay these fees and help them navigate the complex requirements of expungement. People are then catapulted into full-time benefited jobs. 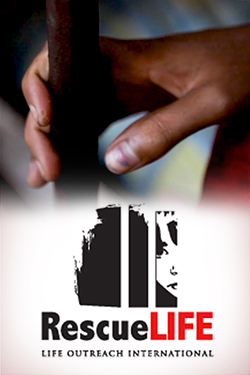 We’ve helped over 300 former inmates now. But Just City doesn’t want to build the biggest Expungement Fee Fund in the world. Why not change the state law which set that fee? We went to Nashville and said, This price tag is ludicrous. Let’s really get this fee back into line with reality. Through this effort, that fee was reduced from $450 down to $280 — closer to where it was. We spoke truth to policymakers that we can do this better. It’s what we want to do with other functions of the justice system that are off-limits for people without money. The Stream: Could you share the story of one family your team has been able to help? Spickler: As a young woman, our client Adrienne had one offense many years ago. It kept her out of the mainstream economy. And it kept her kids deprived of their mother for years. As a woman of skill and ability in the field of health care, there was huge demand for Adrienne. Yet she had cycled through temporary employment over and over. She was hired constantly, yet because of her record could never make it into a nine to five job with benefits and stability. Her kids paid part of the price. She had unpredictable, random hours as a mom, unable to help them with homework and have meals together on a routine schedule. She believes their C grades were a result. They also lived in a cramped space, because stable housing isn’t available to those with criminal records. It all changed when Just City helped Adrienne get her record expunged. The employer that she was with hired her permanently. Then she got to the better shift and had regular hours at home. “Now that I’m home every night, they are A students,” she told us. Then she started saving up money. One morning last fall, I got an email from Adrienne with a picture of her standing in front of this house with a SOLD sign on it. She credits the moment that Just City paid for the expungement as making that possible. The simple act of expunging her record set her family on a totally different path. That’s just one story. We see transformation with many of our clients. The Stream: In the U.S. Senate, the First Step Act is currently being debated. What are your views on this bill? And what about critics who say it is not “tough on crime”? Spickler: What’s significant in the First Step Act are provisions to help prisoners reenter society. This bill gives an important signal to people of all walks of life. It’s that we are really going to try to give those most in need the chance to get back to level in their communities. The coffers of most states and certainly here in Shelby County, Tennessee are struggling to keep up with the rising jail population and all the other fiscal costs of pursuing these so-called “tough on crime” policies. We see this rhetoric in things like bail reform and pre-trial detention reform. In Memphis, we lock up hundreds of people a day, thousands of people a month, tens of thousands of people a year. The vast majority of them who get released on pre-trial detention show up in court and do not reoffend while their case is in process. Efforts are ongoing to figure out better, more efficient, safer ways to release people pre-trial. Then it only takes one case, one heinous crime committed by someone who is on pre-trial release to stop the whole thing in its tracks. What we know after decades of studying this is that shorter sentences and pre-trial release are not dangerous policies. It’s irresponsible to immediately pivot to fears and make policy to the outliers. But it gets votes. I live in a city where the current city mayor ran on a campaign of “tough on crime” and “law and order.” He still proposes those types of policies. Such rhetoric polls very strongly, both locally and nationally. There’s no cost for politicians to legislate to extremes. The costs are in our families and communities who are struggling against these policies. The Stream: How is faith a motivating factor in your work for justice? Spickler: What I believe is that we answer to a Higher Power, our Creator who made us all equal in his image. He calls us to seek shalom, to seek peace, to seek restoration with one another despite our brokenness. This worldview that I share with so many others says that there is a calling, a standard, a perfection. There is a redemption past, and coming — it is already and not yet. The only way we can have a good criminal justice system is if we really believe that there is no crime or act that can cast you aside. Can a person’s life and future be written off forever? We’ve ended up with a mess currently where we’re drawing lines and creating a caste system. When we fail to see the humanity, dignity and image of God in every person that we bring in to our criminal system, we’re not going to come close to being successful in our policy goals. Learn more about the work of Just City and how to get involved. Watch the video below featuring attorney Josh Spickler discussing criminal justice at the TEDx Memphis event.